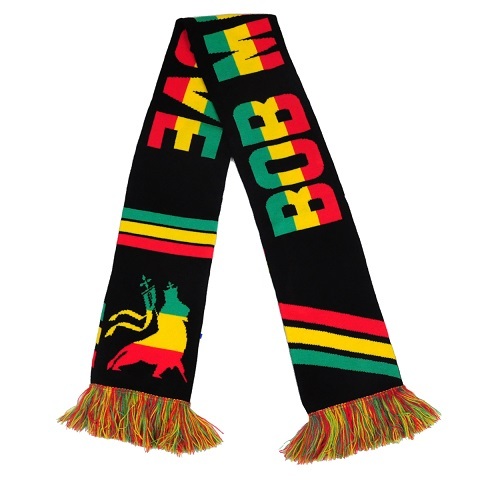 This double sided Bob Marley rasta scarf is both elegant and cool. 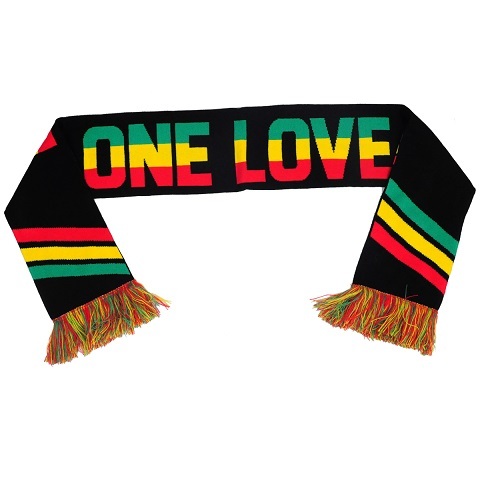 One Love is written on one side of this sleek black scarf with a peace symbol and a rasta lion, while the other side of the scarf says Bob Marley. This scarf measures approximately 48" long.